Especially if you’re familiar with the manga City Hunter. Compare for yourself! Twitter user Gregoire Hellot pointed out that “Zero” single’s cover looks like it could be a City Hunter knock-off, adding that on the upside, this was proof of how international the manga has become. Heh. City Hunter ran from 1985-1991 and followed the exploits of Ryo and his crime-fighting team. Ryo is infamous for his love of ladies. 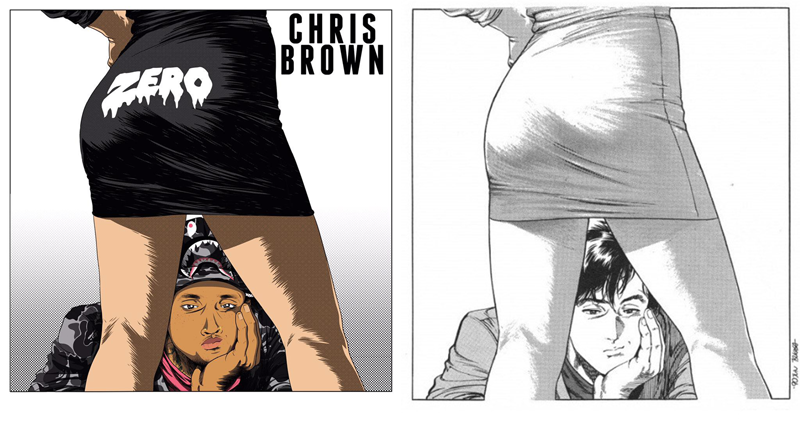 It’s unclear if Brown or his record label licensed the City Hunter art. As of posting, the single’s artwork does not appear to be credited to one specific artist (though, Wiki credits Brown with the “Liquor” single artwork for whatever that’s worth). Kotaku reached out to City Hunter creator Tsukasa Hojo as well as to Brown’s management, but did not hear back before publication. Let’s see how the two images compare. The original City Hunter panel is slightly longer than the “Zero” art. But if you overlay the images, many of the details, including the shadowing appear to overlap. Some of them seem to match closely. There are slight differences in the lines, but less so for the shading. 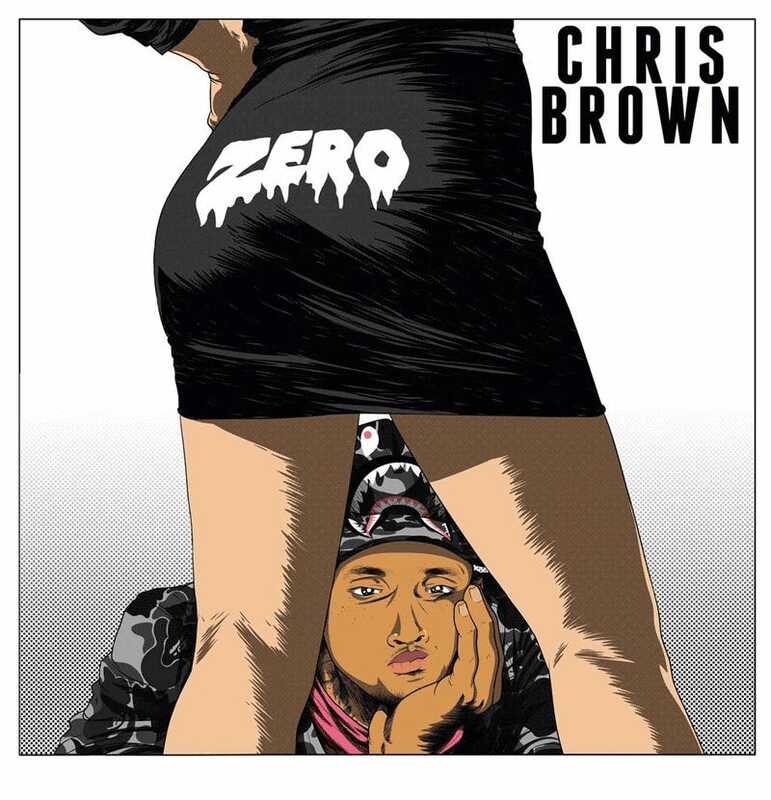 “Zero” will appear on Brown’s forthcoming album Royalty.